LADIES TUESDAY MORNING BIBLE STUDY– In only fifty days Peter was radically transformed. He went from being a man in the shadows denying even knowing Jesus, to a man boldly proclaiming the resurrection of Jesus in the middle of the temple courts. How did the change occur? And more importantly, can such a change occur within us—today, in the here and now? Join Judy Fysh in the lounge Tuesday, April 16th, 23rd, 30th, May 7th, 14th, 21st, 28th, June 4th, 11th & 18th at 9am as we study the book of Acts through “An Unexplainable Life”. A study that will help us understand how transformation in ourselves is meant to radically change lives around us. Books are $20. 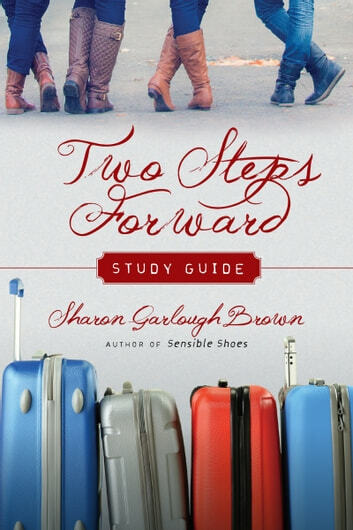 LADIES TUESDAY EVENING BIBLE STUDY– The women of Sensible Shoes encounter new adventures and roadblocks in their spiritual journeys in Two Steps Forward. With this study guide, you can explore your own next steps as you dive into the book’s spiritual formation themes along with Mara, Meg, Hannah, and Charissa. In this eight-week study guide you’ll find daily Scripture readings, reflection questions, and spiritual practices designed to help you be attentive to the invitations of the Holy Spirit. Each week concludes with discussion questions and suggested practices for reading groups to do together. Individually or with a group, you are invited to meet with God and find encouragement for the path ahead. Join Tracey Bagley at her home beginning Tuesday, April 9th at 7pm for this six week study that will conclude Tuesday, May 14th. The cost of the book set is $25.